Professor of Psychology Carolyn Schult has been named the recipient of the 2018 Distinguished Teaching Award at Indiana University South Bend. The award goes to a faculty member who has a consistent and long-standing record of outstanding teaching as rated by faculty and students. 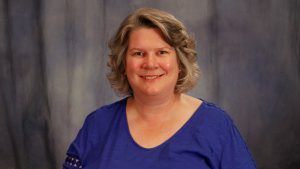 Schult has been teaching at IU South Bend since 1997 and is currently the director for the University Center for Excellence in Teaching (UCET). She earned her master and doctorate degree in Psychology from the University of Michigan – Ann Arbor. She has a bachelor’s degree in Psychology from Oberlin College in Ohio. Her research is focused on child developmental psychology. She has also served as director of the General Studies degree program at IU South Bend and as chair of the Psychology department. She was inducted into the Faculty Colloquium on Excellence in Teaching as a faculty member in 2004.